Hours are weather permitting. High heat or rain may cause us to close. Full 18 Hole Miniature Golf Course. Mr. Putters is ideal for fun family evenings, group events, team building, and birthday parties. 18 Hole Miniature Golf Course! NEW Gemstone Sluicing and Fossil Dig! Come Dig Around and Go Home a Winner! 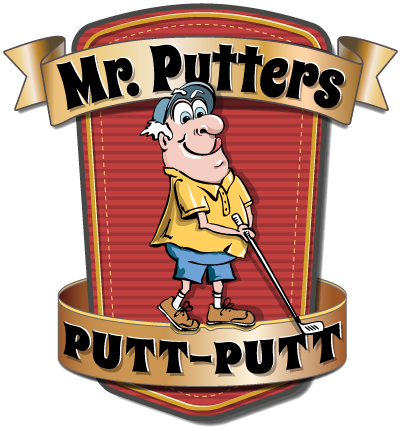 Mr. Putters' Putt Putt is San Luis Obispo county's premier full 18 hole miniature golf course. Conveniently located in downtown Atascadero. Mr. Putters is ideal for fun family evenings, group events, team building, and birthday parties. 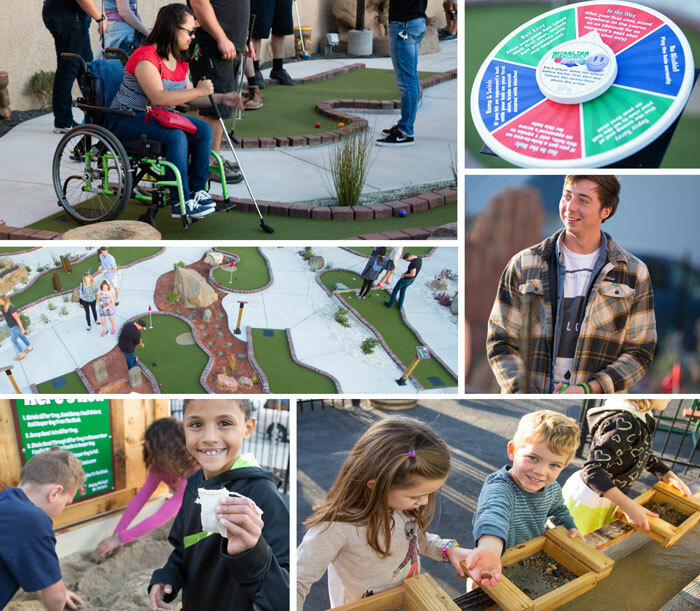 Come play a round and see why mini golf has been a beloved American pastime for generations! Now you can also pan for precious gems or dig for fossils in our NEW Sluice Box! Gemstone Sluicing: Each participant gets a bag of pay dirt which they sluice in our sluice box. As the pay dirt washes away the participant sees the gemstones that are left behind. They then collect the gemstones in their souvenir bag and use the identification card to see which ones they discovered. Fossil Dig: Grab your archaeological supplies at the kiosk and sift through your own box of sand to discover your very own fossils. Identify them with the identification card and save them in your souvenir pouch. Atascadero's only mini golf for over 40 miles. Bring the whole family and enjoy the brand new Mr. Putters' Putt Putt!